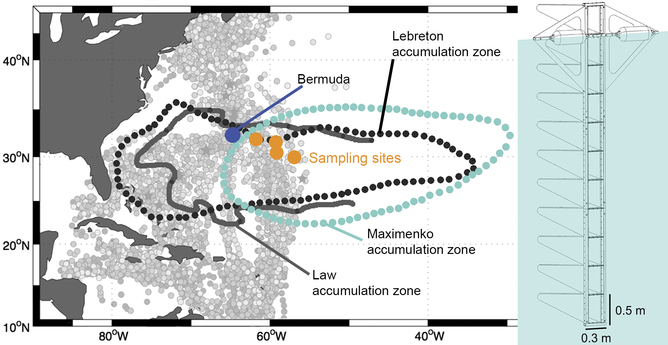 The area sampled was within the garbage patch – however you chose to define it. Sampling device is pictured on the right. 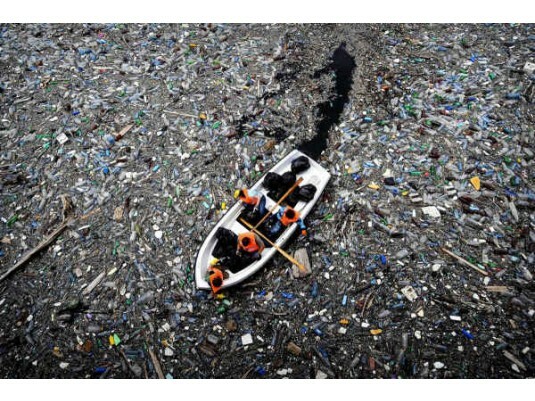 Wind shifts plastic away from the surface, but most of the mass stays at this layer. 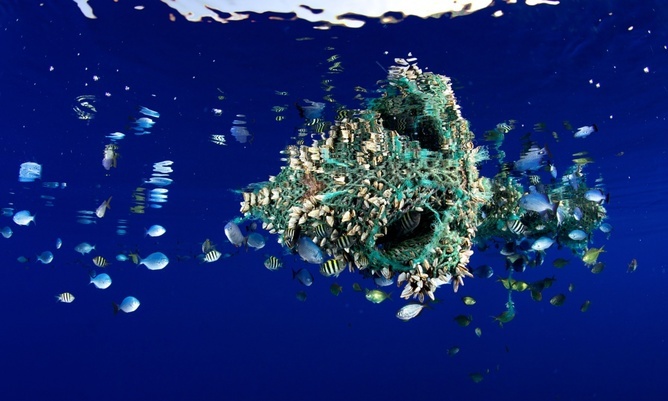 Andres Cózar and Marcus Eriksen both concluded that there are major losses of small plastics from oceans. 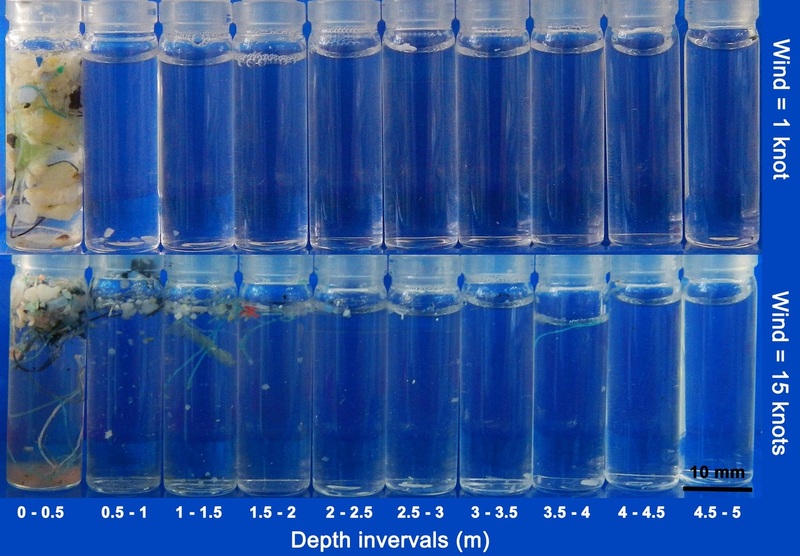 We show that at least a fraction of this “missing” plastic is just under the sea surface. Fragment of fishing net drifting at sea.